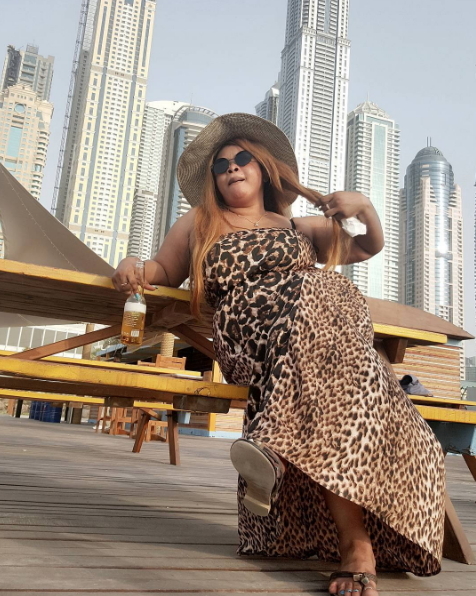 The Nollywood actress who marked her birthday yesterday is still in Dubai. 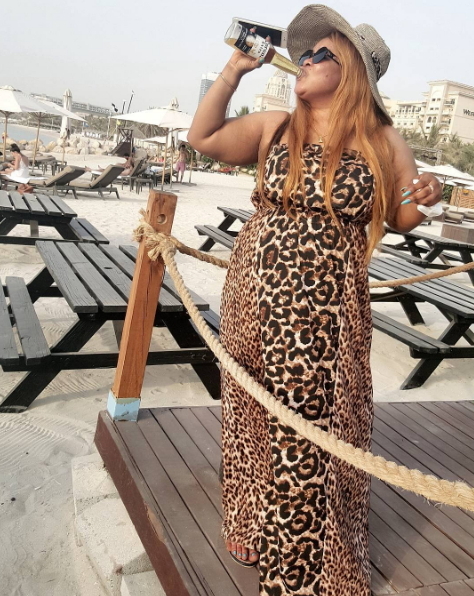 She was spotted sunbathing at Barasti Beach Bar, a popular tourist resort on Al Sufouh Road, Jumeirah Beach. The Oyinbo-Naija actress wore a long sleeveless dress with a matching hat. Go and get married, & stop dis……? Anyways Hbd 2 u. 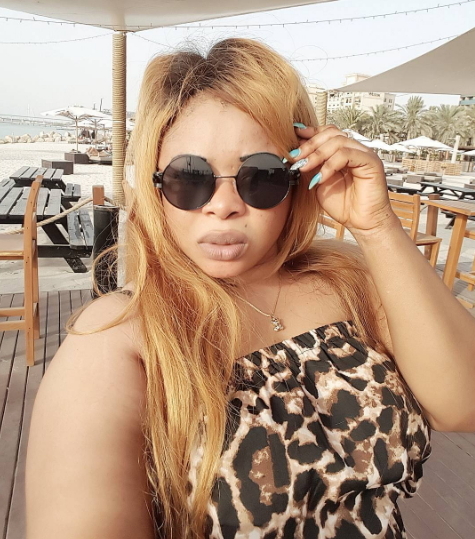 Not Oyinbo-Naija Actress, it’s Bleaching Naija Actress. Dayo don to oyinbo finally! Anyways hbd llnp.